This page links to campus universities and campus colleges in the US. It also provides some advice on choosing a suitable campus. How do you choose which university or college to go to? There are several aspects to consider, including: subject area, personal visits, location, finances, extra-curricular activities, accommodation, learning support and the advice of others. Clearly, you need to first find those universities and colleges offering campus training or campus study in the subject you are interested in. It is also important to check how strong the universities are in your chosen subject. Check the courses offered and the list of staff and their qualifications. But if initially you are not too clear about the exact subject you wish to study on campus, list those colleges and universities offering the general area of your interest. The list of campus universities and programs at the foot of the page should help you find suitable schools. You can also use the search forms on this web site to help you a college campus or a university campus near you. The rest of the criteria listed below should narrow down the list. In order to help make a judgement on each of the following criteria, you really need to visit each school campus on your list. 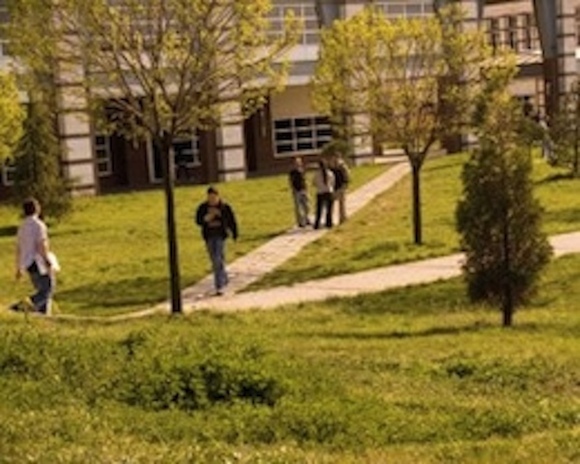 Most university and college campuses organize open days, tours and talks. The admissions department of each university or college can usually provide details. Most students prefer to find a campus within driving distance of home as this reduces the cost of returning home whenever required. They also prefer to be within the same state as this often has fee and other financial implications. Campuses are also located in very different settings. College life in an urban university is very different to that in ones located in college towns. The cost of your higher education is clearly an mportant factor. You need to find out about and consider the difference between public and private fees, in-state versus out-of-state fees, and the financial aid that maybe available for a college or a program. social life – what is available and where is it based? sports – teams and the ranks, facilities available. Most students seem to prefer to live in university or college dormitories or similar accommodation on-campus, especially in the first year. So you will need to find out about the quality and cost of these. Also find out about the quality and cost of renting privately-owned accommodation in the area. Checkout student views about this on the forums. In order to achieve your learning goals, you need effective learning support. So you need to look at class size, qualifications of academic staff, libraries, computer access, Internet access. You also need to consider health and welfare facilities. The campus school prospectus or website will give you a lot of information on the university or college. But for independent views on life at the different campuses you are interested in, try reading students reviews and comments on the Internet.